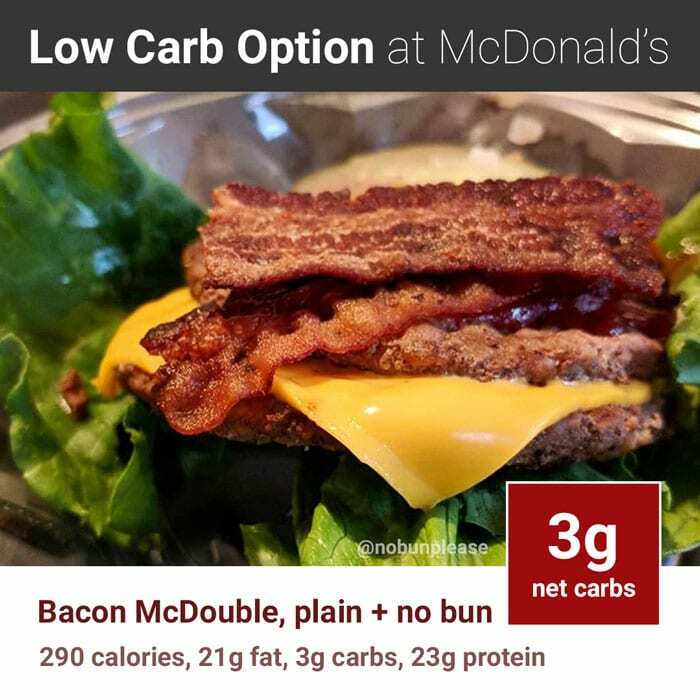 McDonald’s is a global fast food restaurant chain that can be quite accommodating for those on the Keto diet. Because of the abundance of locations, I figured that a guide for choosing low carb options would be helpful to many people. 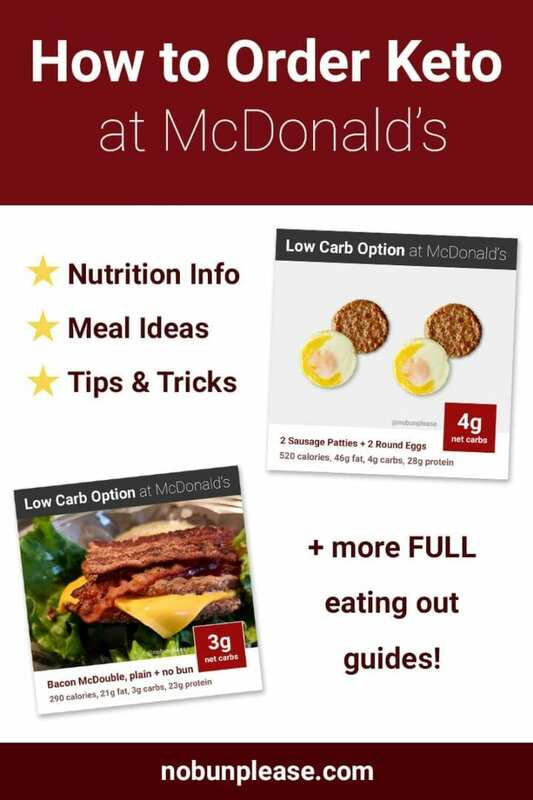 For the most part, I’ve had good experiences eating Keto at McDonald’s. When you ask for a sandwich without a bun, they usually prepare it for you in a plastic container. Sometimes, they even include large pieces of leaf lettuce, which is awesome! It acts as a great replacement for the bun. One thing I like about McDonald’s is that most locations have breakfast all day (in the U.S., at least). While it’s usually made-to-order and takes a little longer, it’s very convenient to be able to pop through the drive-thru for breakfast — any time of day. Avoid the heavy carbs: french fries, buns, wraps, bagels, biscuits, etc. Be wary of the sugar-free iced coffee and dressings — the names may suggest they’re low carb options, but they’re actually loaded with carbohydrates. Sadly, McDonald’s no longer offers the Pico Guacamole Chicken Sandwich. It was great with grilled chicken and no bun! Here’s the nutritional breakdown for the burgers at McDonald’s. Almost all of the offerings can easily fit into a Keto diet when you remove the bun. Scroll down to the toppings if you plan on adding anything to your burger. McDonald’s breakfast has always been a guilty pleasure of mine, even before starting the ketogenic diet. Be wary of the sweet sauces. I tend to stick with mayo and mustard. If you plan on getting a side, salad is likely going to be your best option. I find that the salad dressing options at McDonald’s are limited and disappointing. Instead of dressing, I often opt for the dipping sauces instead. One packet of ranch is only 1g of carbs compared to 10g for a packet of dressing! Do yourself a favor and mix the Spicy Buffalo Sauce and Creamy Ranch as your salad dressing. You’re welcome. Don’t be fooled by the name. The sugar free coffees actually have quite a few grams of carbs. Diet beverages vary by location. 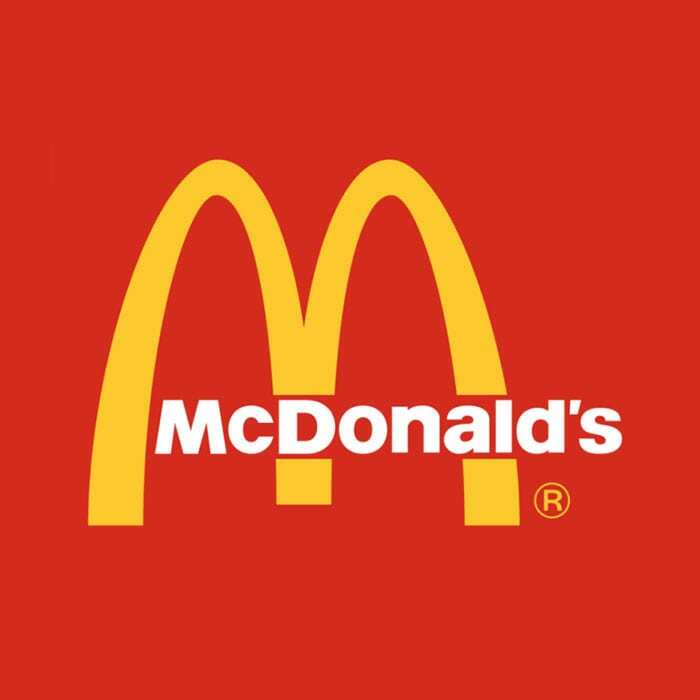 The McDonald’s app let’s you plan and place your order directly from your smartphone. I love this option because it also gives me the functionality to remove the bun, add condiments, etc. 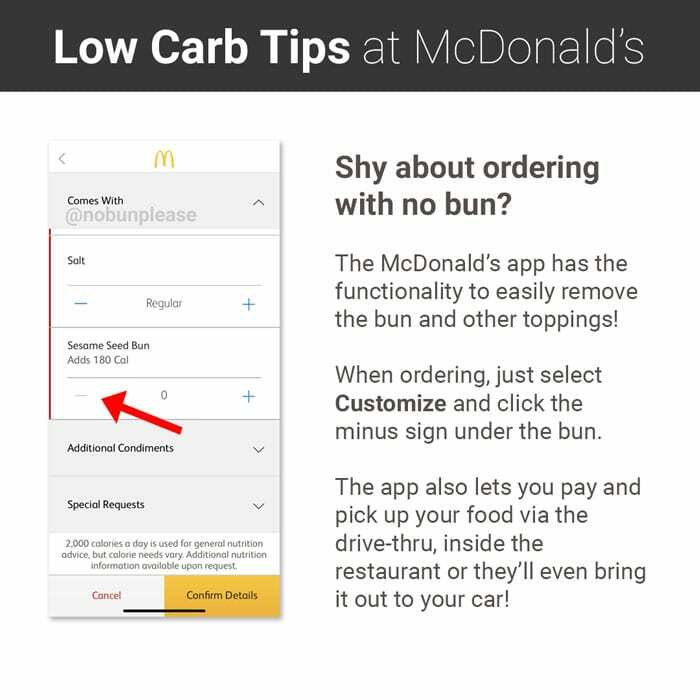 This is especially helpful for people who are still a little shy about ordering with no bun. Finally, the app usually has some sort of deal that you can take advantage of. For example, the McDonald’s app often has specials like buy-one-get-one sandwiches and even free promotions when your local sports teams win. I’m from Pittsburgh, so there’s usually a free offer waiting in the app! Want to customize your own Keto meal before you get to McDonald’s? Use their nifty customizer tool. 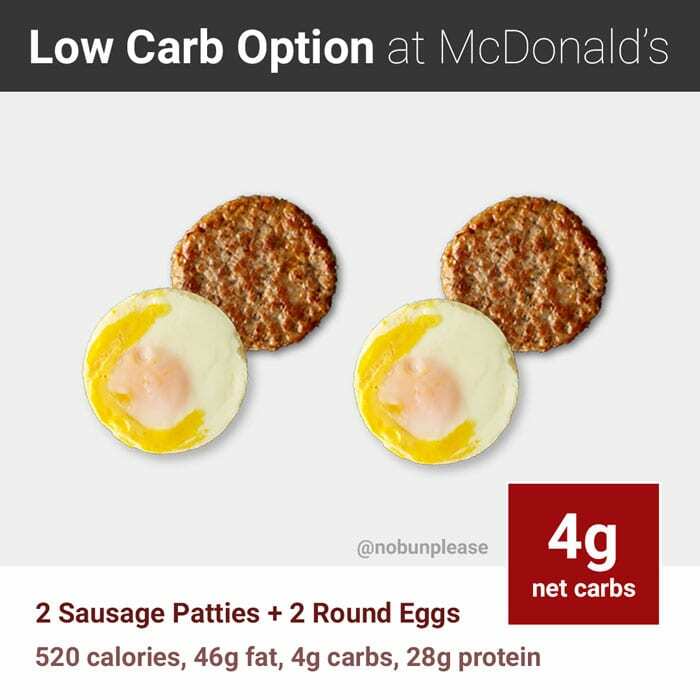 What’s your favorite Keto meal from McDonald’s? Comment below! Do you know if it is possible to order the white cheddar cheese on the burgers? Yep, you should be able to! This is my favorite site. I get all the info I need in a down-to-earth way. Thank you. Tam Hall. You can just get scrambled eggs also. There is sugar added and sugar and high fructose corn syrup in the sweet relish yet you don’t state any sugar grams to account for. Can you explain? I’m new to keto and am in ketosis and really don’t want to screw up! I don’t list the specific grams of sugar on the foods, but I do have 2g of carbohydrates listed. On a typical food label, the sugar count would fall under this parent category. I find that the salad dressing options at McDonald’s are limited and disappointing. Instead of dressing, I often opt for the dipping sauces instead. One ranch packet of that is only 1g of carbs! The ranch dipping sauce is different from the ranch they serve with the salads. I often ask for that one instead to get a ranch flavor with less carbs.